11 May 2008 - Big green leaves gather in sunlight and do their photosynthesis "thing" to send energy to the plant roots. The roots send their water to the plant and presto! 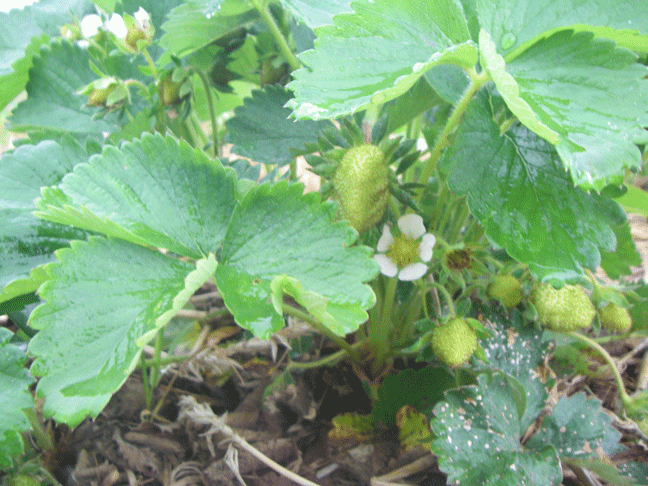 blossoms and strawberries are created! Nature is a wonder.